General Choi Hong Hi is widely recognized as the founding father of Taekwon-Do, something for which history will unquestionably give him due credit. General Choi dedicated virtually his entire life to the inception, development and proliferation of Taekwon-Do. Despite being a man of small physical stature he had an enormous, and positive, impact on millions of lives by successfully spreading Taekwon-Do throughout the world. General Choi’s military career is noteworthy, however Taekwon-Do will unquestionably be his enduring legacy and it represents one of the great human works of our time. While General Choi’s Taekwon-Do, and the International Taekwon-Do Federation became synonymous, it should be remembered that the ITF was his administrative organization and not Taekwon-Do itself. The elements of Taekwon-Do are definitively detailed in the Encyclopedia of Taekwon-Do, that General Choi wrote, and that should serve as the guiding light for those who are truly interested in preserving his beloved art. At the age of 19 Choi Hong Hi was sent to Japan to further his education, first at college in Kyoto and later, in the law faculty of Choong Ang University in Tokyo. While there he began studying Japanese Karate and after several years of intense training he attained the rank of II Degree black belt. He also spent a period teaching Karate at a Tokyo YMCA before returning to home to Korea. During World War II, Choi Hong Hi was forcibly conscripted into the Japanese army. Subsequently he was implicated in an insurrection, against the Japanese occupiers, and was held in a Japanese prison many months while awaiting trial. While in prison, he practiced martial arts in the solitude of his cell. It is reported that initially his cell mate and his jailer became his students and eventually the entire prison courtyard became a training facility. Thanks to the liberation, in August 1945, Choi Hong Hi was spared from a pending execution. Following his release, Choi Hong Hi relocated to Seoul and shortly afterward he was commissioned as a second lieutenant in the new Korean Army. He quickly began using his military position to teach the martial art that he learned in Japan and had begun to reshape. What followed was a rapid succession of military promotions each accompanied by an increase in his ability to use his growing military status to teach and influence the use of his martial art, which he then called Tang Soo Do. In 1949 Choi Hong Hi, who had by then been promoted to Colonel, visited the United States for military training, first at the Ground General School at Fort Riley, Kansas, and later at the Advanced Command School at Fort Benning, Georgia. Colonel Choi also used that time as an opportunity to introduce his martial art to the American military and he made many connections that would eventually figure significantly in the spread of Taekwon-Do. In 1951 Colonel Choi was promoted to Brigadier General. In 1953, at Jeju Island, General Choi created the notorious 29th Infantry Division, in which he employed Tang Soo Do training to build character, strength and superior fighting skills. That division, also known as the ‘Fist” Division, became the crucible in which General Choi consolidated the use of Korean Martial Arts in military training. In 1954 Brigadier General Choi was promoted to 2 Star Major General. On April 11, 1955 the 1st ROK President, Dr. Rhee Syngman, PhD produced a calligraphy that made Taekwon-Do, a term that General Choi had conceived, the official name of the new Korean martial art. Moreover, the name Taekwon-Do was officially to replace Tang Soo Do, and other names, that had up to that time been used for Korean martial arts. That marked the birth of Taekwon-Do which General Choi ardently nurtured and developed for his entire life. In March 1959, General Choi led the 1st Taekwon-Do Demonstration Team abroad for the first time, by visiting Vietnam and Taiwan. In September, he formed the Korean Taekwon-Do Association and served as its first President. Also in 1959, he authored the first ever Taekwon-Do book in which documented the first five Korean Patterns, also known as Tuls, (Hwa-Rang, Choong-Moo, Ul-Ji, U-Nam and Sam-Il) that he had created with the assistance of some of the soldiers under his command. The following year General Choi introduced Taekwon-Do to the United States while attending a Missile Course in Texas. In 1962, General Choi was appointed as Ambassador to Malaysia, and he used the opportunity to spread Taekwon-Do. In 1964 Ambassador Choi went to Vietnam to teach Vietnamese military instructors the advanced Taekwon-Do Tuls that he had perfected after years of research. That marked a new era for Taekwon-Do because he had by then eliminated the remaining vestiges of Karate thereby drawing a clear distinction between the two arts. As that distinction continued to evolve General Choi introduced Sine Wave, a movement methodology not found in Karate, and movement timing variations such as Connecting Motion as found in Yul-Gok Tul, and Continuous Motion in Po-Eun Tul, for example. In 1965, General Choi and his Demonstration Team toured and staged Taekwon-Do demonstrations in Germany, Italy, Turkey, Egypt, Malaysia and Singapore. General Choi also used the tour an opportunity to distribute his English book on Taekwon-Do: The Korean Art of Self Defense. That was the first book on Taekwon-Do written in the English language and it was the precursor for his encyclopedia that would become the standard bearer of his art. On March 22 1966, General Choi founded the International Taekwon-Do Federation (ITF) with associations in Vietnam, Malaysia, Singapore, West Germany, the United States, Arab Republic of Egypt, Turkey, Italy and South Korea and he was elected as its President. The establishment of the ITF was a pivotal moment in history of Taekwon-Do. During the following years General Choi was unrelenting in his efforts to establish associations and spread Taekwon-Do throughout the world. In 1972 General Choi wrote Taekwon-Do (The Korean Art of Self-Defence) a textbook that also became known as the “bible of Taekwon-Do”. That year General Choi also moved the ITF headquarters to Toronto, Canada which was strategically located between Asia and Europe as well as being conveniently positioned for the spread of Taekwon-Do throughout the Americas. General Choi’s also expanded his Canadian base to Montreal, Quebec where he held the First World Taekwon-Do Championship and the first International Instructor’s Course in 1974. In 1983 General Choi, completed the Encyclopedia of Taekwon-Do, a 15 Volume work that is without precedent in the martial arts world. It is a highly detailed compendium of every aspect of Taekwon-Do including comprehensive written and pictorial coverage of the art’s diverse techniques and applications. The Encyclopedia of Taekwon-Do is essentially a permanent registry that will serve as the Rosetta Stone of Taekwon-Do for all time. In 1985 General Choi Relocated the ITF Headquarters to Vienna Austria. Its Central European location and its long-standing political neutrality both served his vision of disseminating Taekwon-Do without regard to nationality, politics, religion, race, creed or national boundaries. In the early nineteen nineties, having concluded that the singular National Governing Body model was problematic for large countries, General Choi established the KoreAmerica Taekwon-Do Union (KATU) as the second ITF NGB in the USA, and he appointed then Master Hwang Kwang Sung as its president. Grand Master Hwang served in that capacity president for KATU’s entire duration. 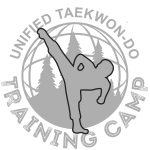 After General Choi’s passing, KATU ultimately evolved into Unified Taekwon-Do under Grand Master Hwang’s stewardship with the ongoing mission of preserving General Choi’s legacy by preserving his Taekwon-Do. In 1997 General Choi promoted the first three ITF grand masters; Grand Master Rhee Ki Ha, Grand Master Hwang Kwang Sung and Grand Master Charles Sereff. That was followed by General Choi promotion other individuals who had figured prominently in Taekwon-Do’s development. Although General Choi was, unquestionably, the driving force behind Taekwon-Do’s development and was the engine that drove its consolidation, he employed the assistance of key collaborators over the years. One such was Grand Master Hwang Kwang Sung, who continues to be a loyal disciple, tirelessly dedicated to preserving General Choi’s legacy through his teaching and through Unified Taekwon-Do. General Choi Hong Hi, vigorously continued on his mission of spreading and teaching Taekwon-Do throughout the world until shortly before he passed away on June 15, 2002.